We’ve done a lot of work in the Guest Room since moving into our new house. The original room inspiration and all the work can be seen here, here and here. It’s coming along :-). 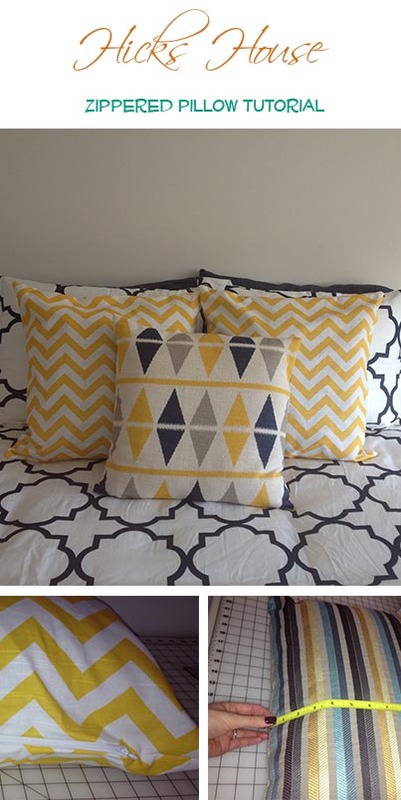 I really wanted some throw pillows for the bed (I LOVE throw pillows) however neither of us could decide if we wanted the accent color to be light blue or yellow – so we decided to make it changeable so depending on the season or our mood we could change it up. 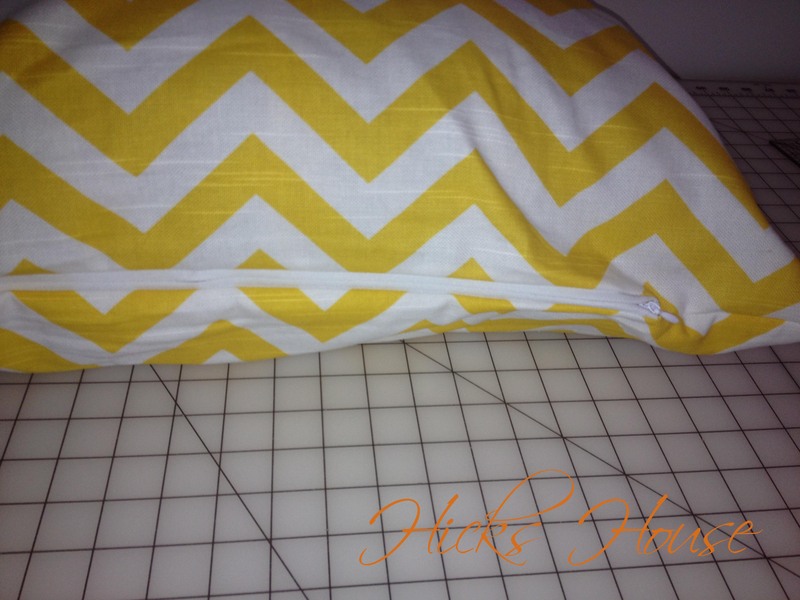 I started with the yellow accent pillows and added a zipper to my homemade pillow covers to that I could re-use the pillow insert. 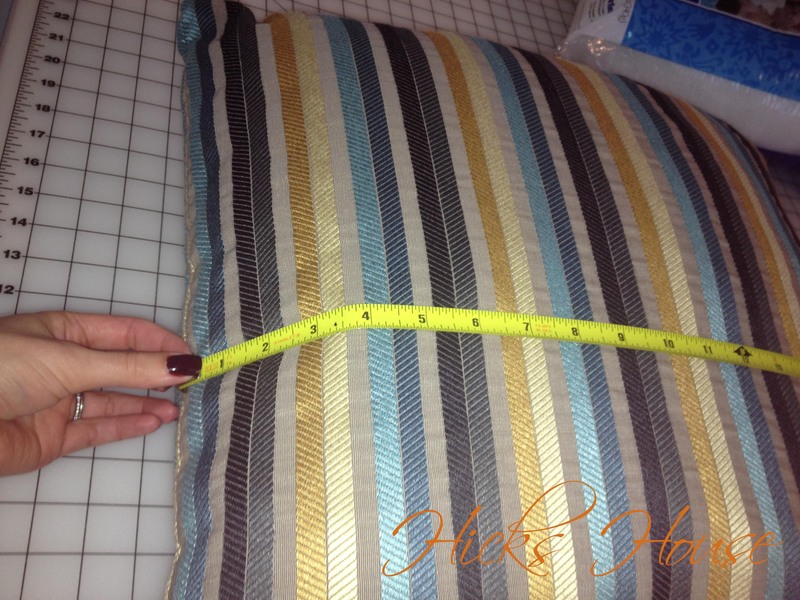 I started with the pillow insert I was going to use and measured the entire width and height of the pillow. 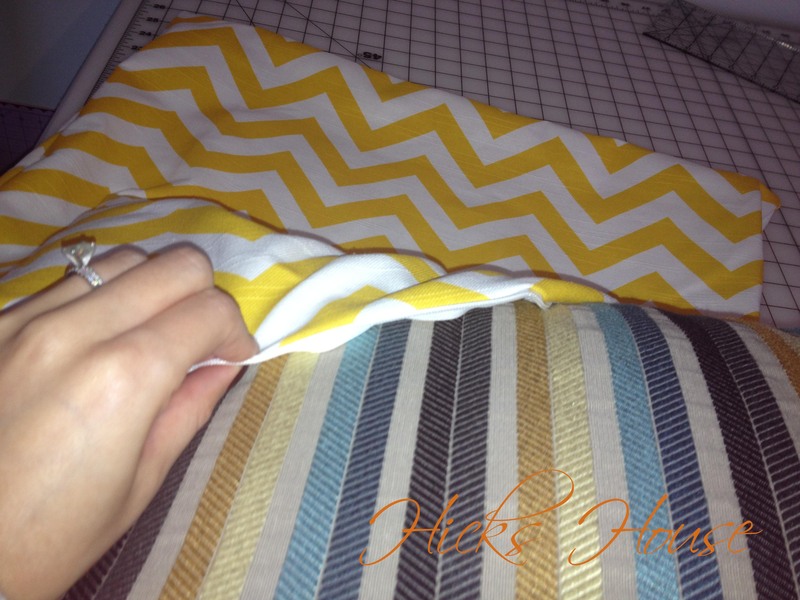 Your fabric needs to be 1 inch wider than your pillow to allow for a 1/2 inch seam allowance and 1 1/4 inches longer to allow for the seam allowance on the top and the zipper insert on the bottom. 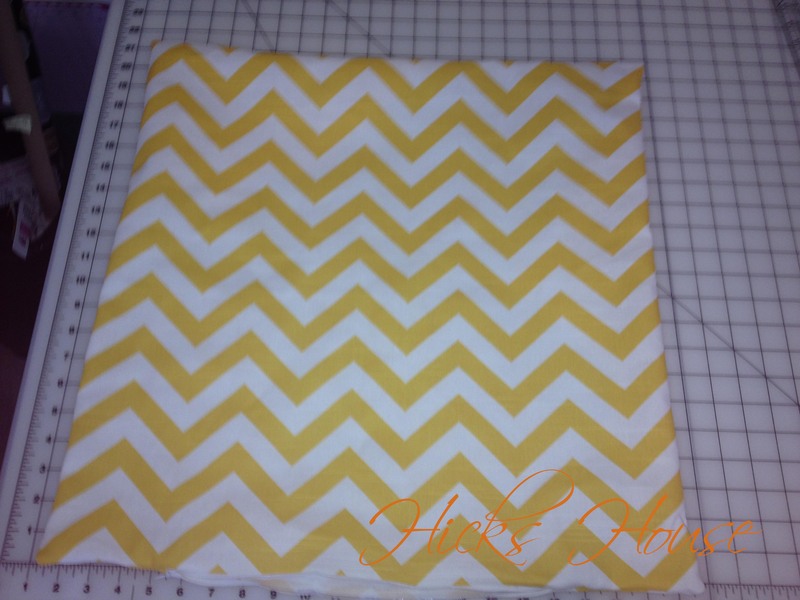 My pillow was 21 inches square so for my fabric I had to cut out two pannels to be 22×22 1/4. 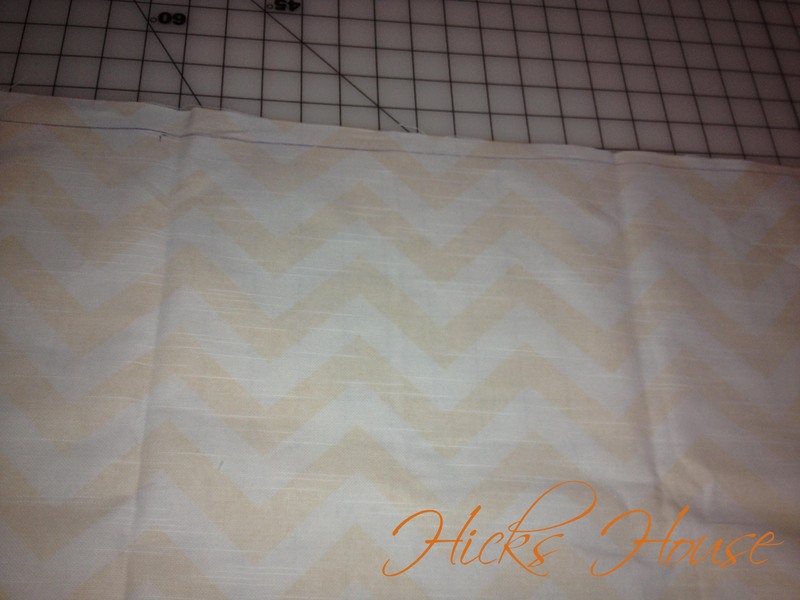 Draw out your measurements on the BACK of your fabric. 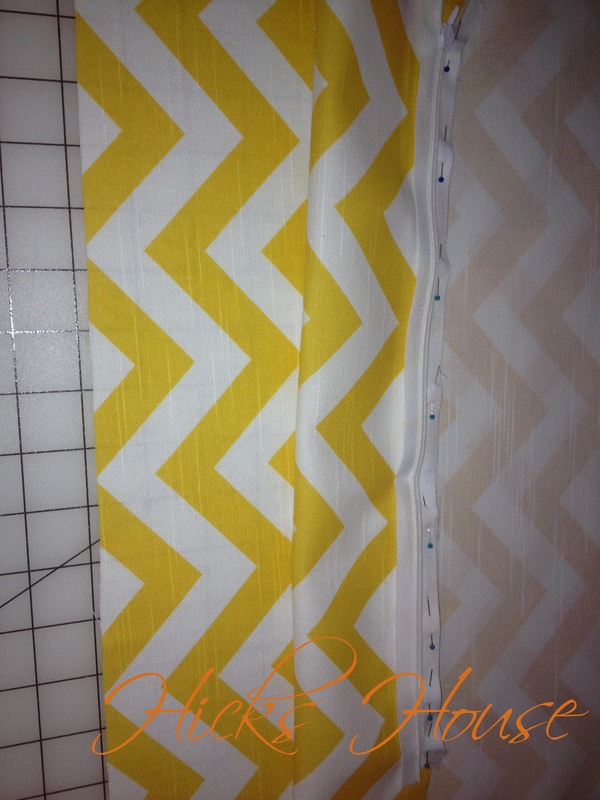 If you have a directional pattern like my chevron make sure the lines are straight with the pattern not with the top of your fabric. Its not always the same thing. 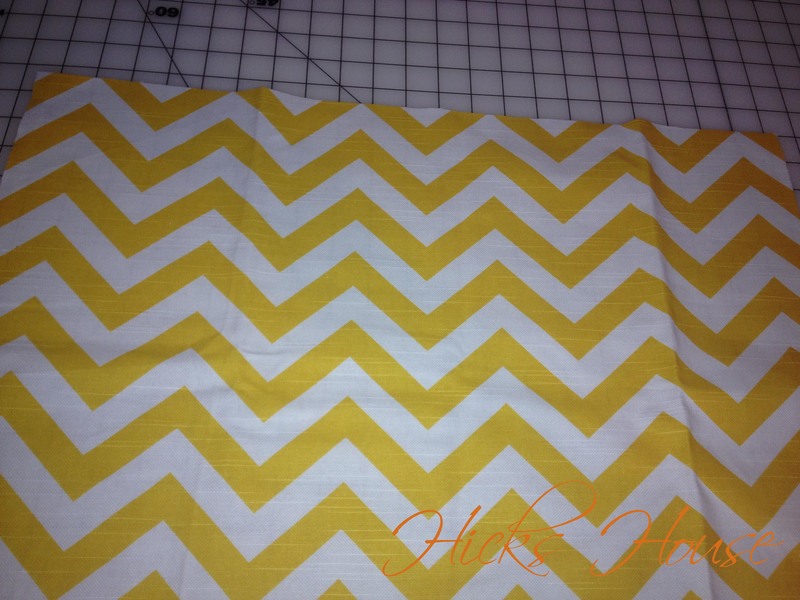 see how my line doesn’t line up with the edge of the fabric? 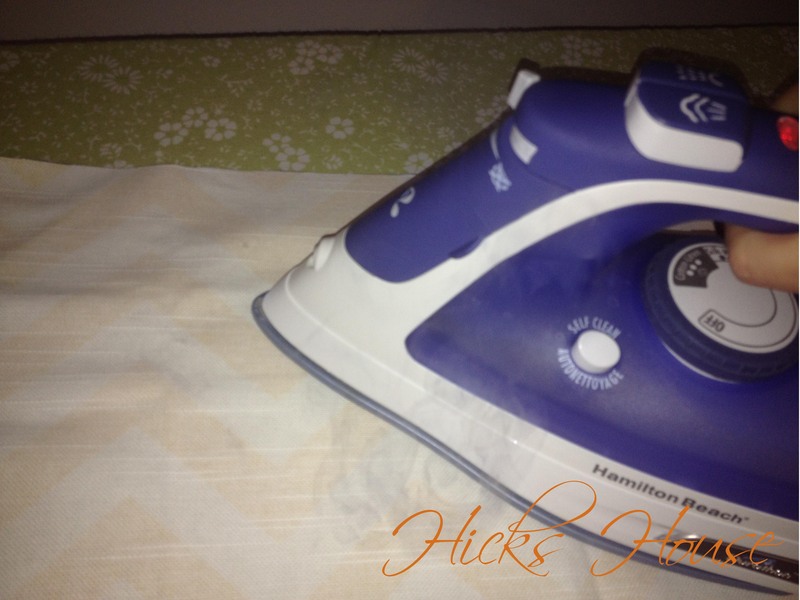 Lay your ironed fabric pieces out and line up the zipper on the longer side of the fabric facing down towards the side of the fabric. I used a 12-inch zipper so I centered it on my 22 inches of fabric. 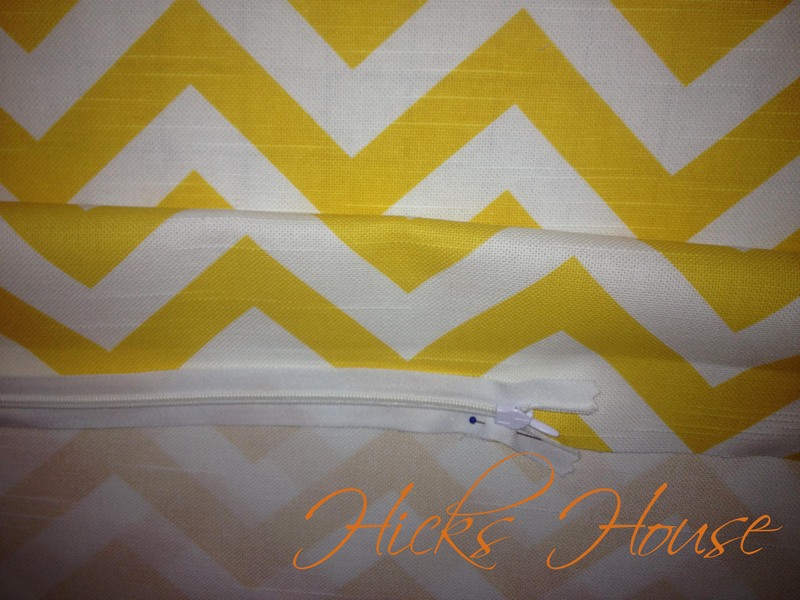 You can use a zipper the entire length of your pillow – its probably easier but thats what I had on hand. 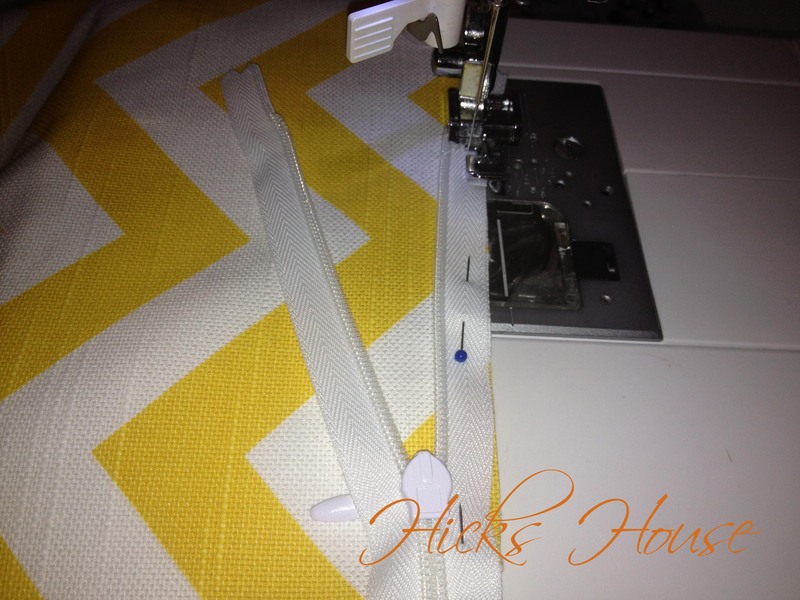 Sew the zipper to the fabric using a zipper foot. Make sure to not sew around the zipper pull. 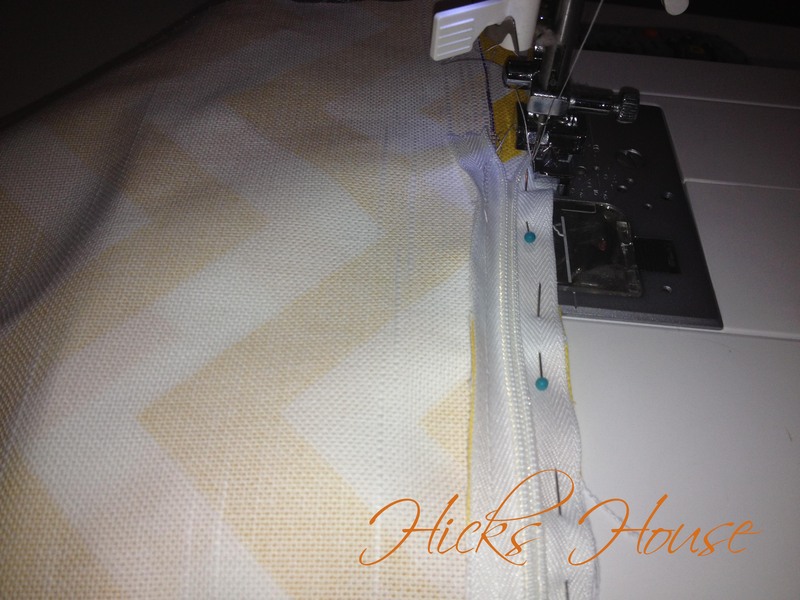 When you reach the pull manually wind your needle down into the fabric lift the foot and zip the zipper out of the way so you can continue sewing a straight line. 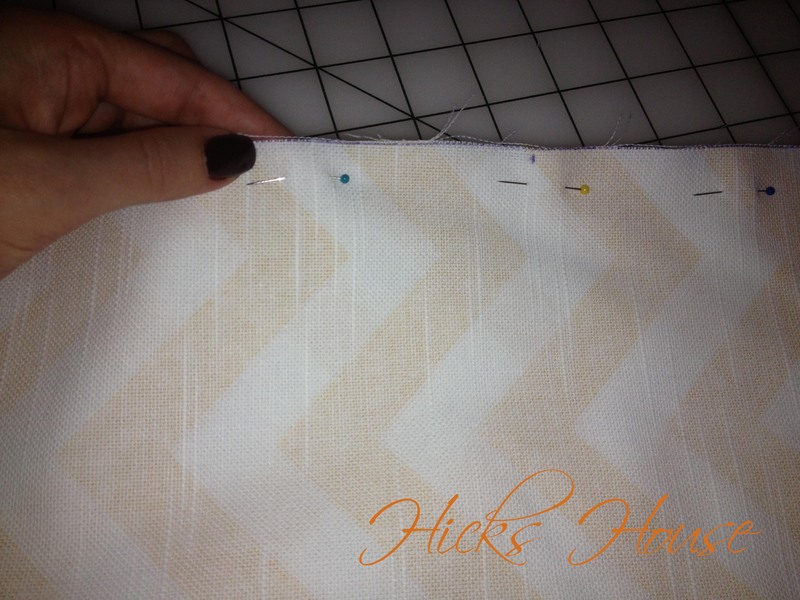 Make sure to backstitch at the begining and end so your zipper stays put. 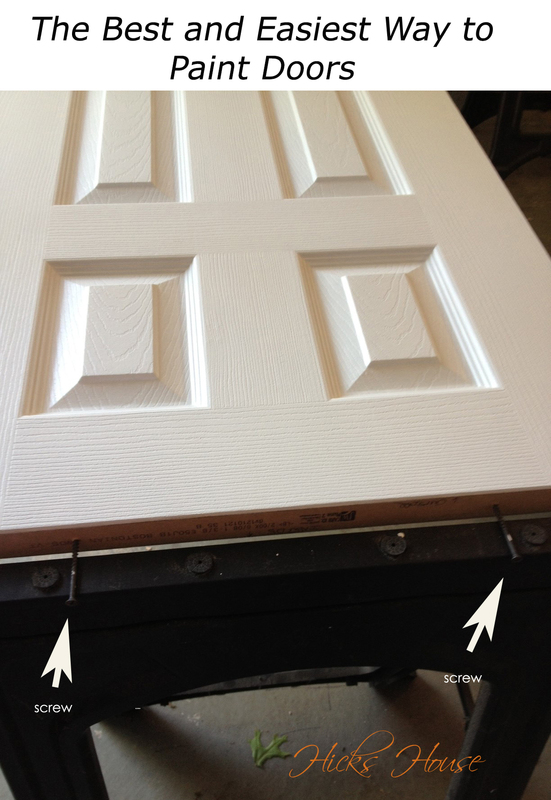 Do the same process for the other side of the zipper. 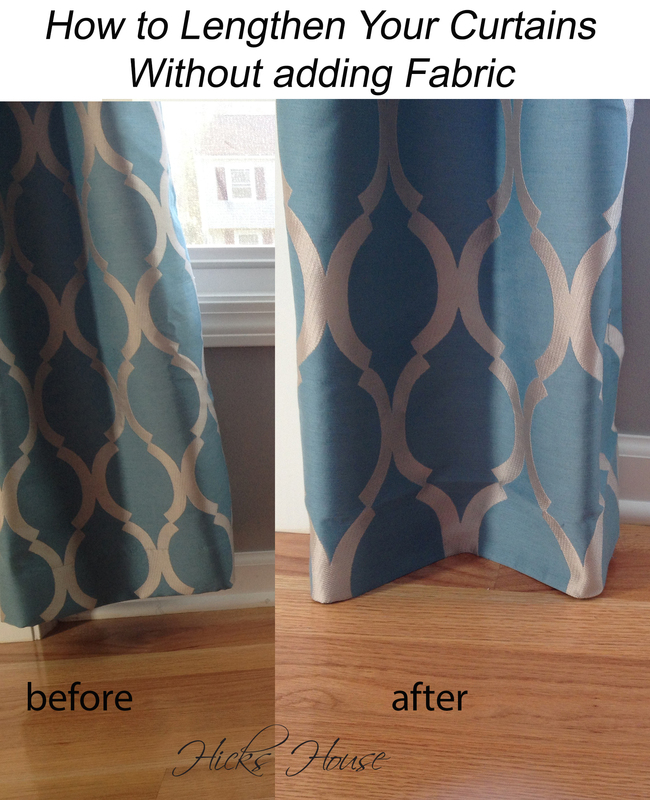 Make sure the right sides of your fabric are facing each other. 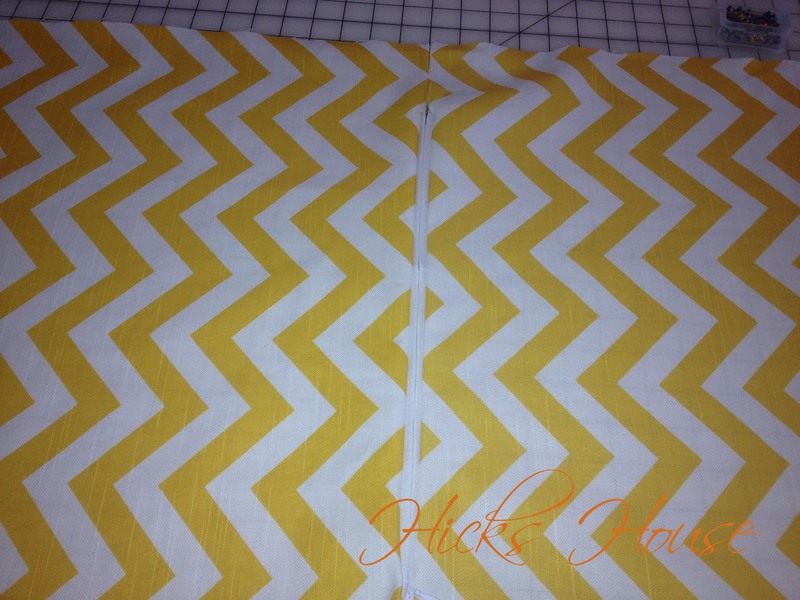 Now you have two fabric squares attached in the middle with a zipper. Fold in half right sides together at the zipper and pin the pieces together around the entire perimeter – make sure your zipper is at least half unzipped so that you can turn it right side out when you are done. Sew the two squares together backstitching at the begining and end for added support. Flip right side out through the zipper. Stuff your pillow insert into your new pillow cover. If you used a small zipper like I did – be careful you don’t want to pop your stitches. There you have it, a professional looking zippered pillow case! 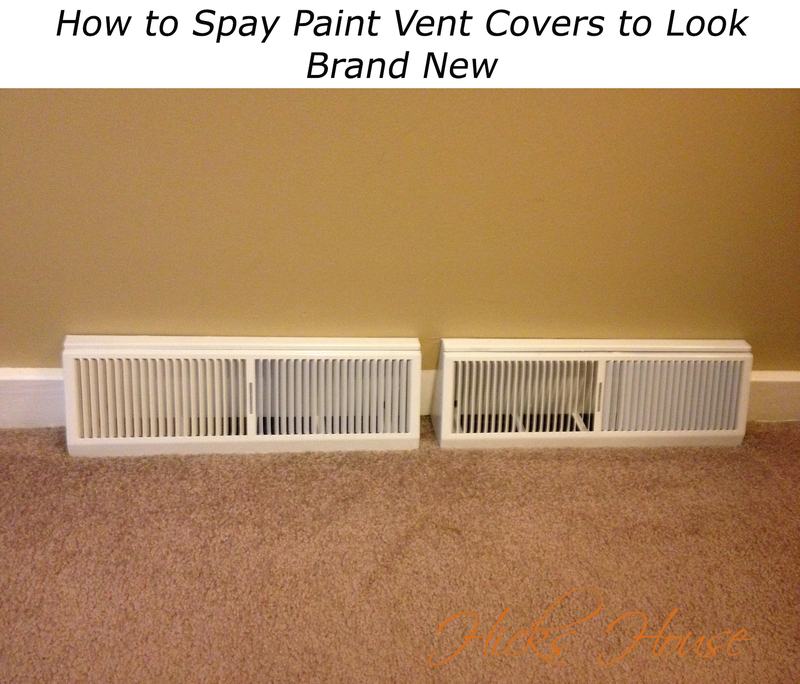 Add it to your bed or sofa and change out the cover to your hearts content! 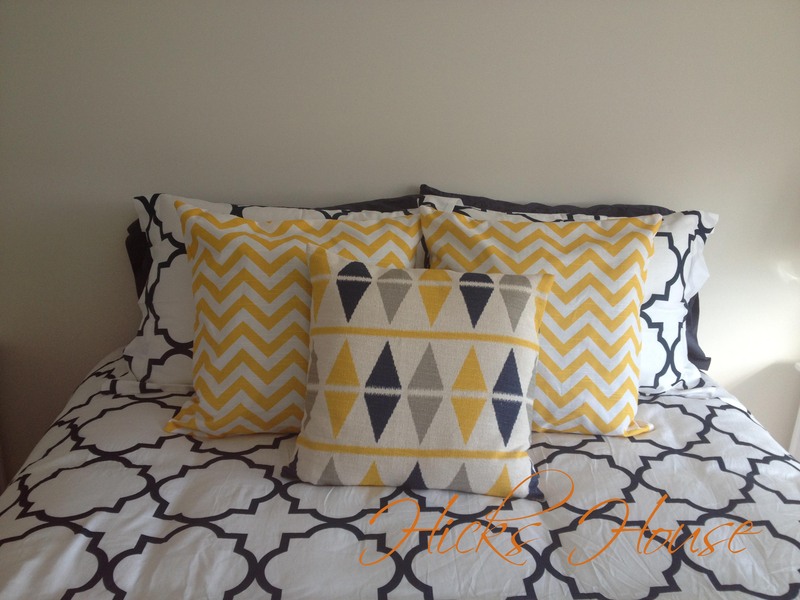 Categories: Guest Room, The Hicks, Tutorials | Tags: decorating, diy, how to cover pillows, how to make pillow cover, how to sew, sewing, tutorial, zippered pillow cover | Permalink. managed to complete his inquiry through the ideas he gained out of the site. and facts which other folks have been trying to sell. And we all see we have got the website owner to give thanks to for this. amusing, which is highly important. Thank you for everything! Thank you Garcinia, glad to hear you are liking the blog! Glad you liked the post. I hope your old roommate enjoys it as well. 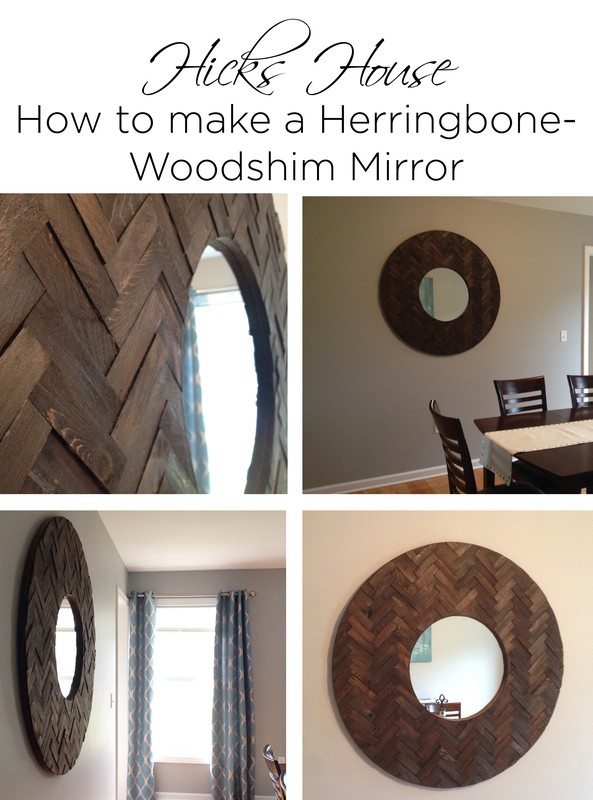 I would love to hear from someone who gave the tutorial a spin! Congrats at this point. I seriously loved that which you experienced claimed. 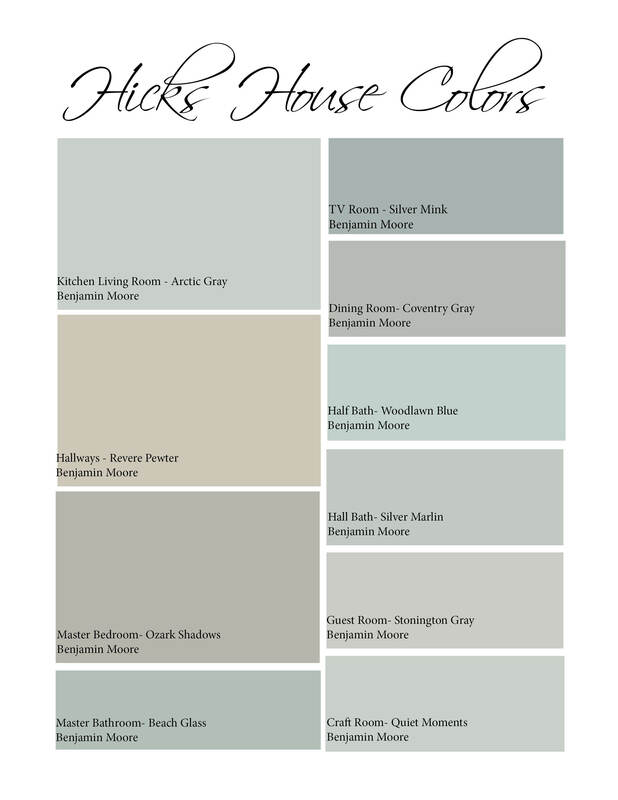 Carry on while you certainly provide a completely new tone for voice to do this topic. Very couple individuals may perhaps state what youve stated holiday helps it be fascinating. Beautifully, a minimum of it’s rather fascinated. Cannot hold out to determine a great deal more of the from a person. Thank you for the compliment. I hope you continue to enjoy the blog.